Kids love to take their favorite animals with them on long drives. 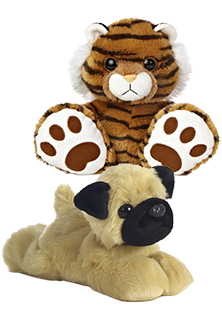 We have some pretty cute and portable plush pets with their pet carriers. We have the lowest prices in the nation~GUARANTEED!